The Following is a description of a massive UFO spotted flying over the North West US. 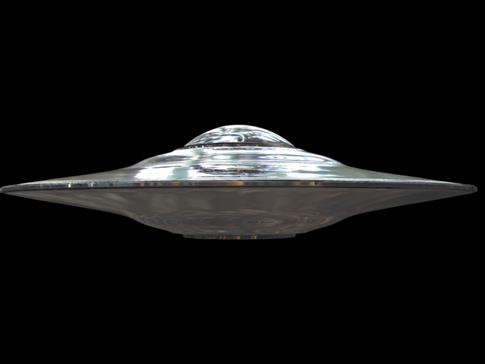 This eye witness describes in short form an encounter with a massive UFO flying overhead. This location and description is undeniable as the witness goes into tremendous detail of the sighting. Additionally, the sighting was near a military base which adds more mystery to the tale. Saw the biggest space ship I have ever seen and it was the closest as well. Irina was outside tonight and came in and told me to come see the ship. Went out expecting to see a light like we usually see going across the sky. This was coming from the northeast direction. The front part had at least 5 very large, very bright white lights that were round in shape. They seemed to be coming from inside ...since I could see something in the lights when I looked with binoculars. They were in a half moon shape at the front with a couple lights behind those in front. They weren't flashing and were the brightest things in the sky. Just behind the white lights were 3 very bright red lights that were flashing together. There were in the shape of a triangle with the single red light behind the white lights. A long way behind those were 2 more bright red lights that were flashing together. Based on the position of the lights the whole shape would have been a long triangle with a rounded front. If you took the sky from east to west this ship from the white lights in front to the rear red lights was about 1/5 the distance across the sky. The sky we can see isn't 180 degrees from side to side since we have mountains on both sides. We probably see about 135 degrees across the sky. I believe the lights were all on one ship because none of them moved from their position while we watched it come from the northeast and circle around our place to the west and head to the southeast and all the flashing lights were flashing at the same time. As it went behind the trees to the southeast the white lights became even brighter thru the trees almost like it had changed positions. There was a low sound coming from it as it went over. Similar to aircraft going over but much lower in sound. which if each light was a different plane (one of ours) the sounds would've been much louder. The military aircraft that come over some times always come from the south west which is where the airforce base is located. It was neat to say the least and i could only take a wild guess at the size but would say miles long would be close. didn't think to get the camera since I came back to get the bino. and was busy looking at it to see what i could see. There are supposed to be ships that are waiting for the right time to come in a get people that are 50 miles long. not saying this was one of those but it was huge. The shape reminded me of the battle cruisers on star wars except the front end was round and there appeared to be several windows that the lights were shinning thru.